Description: Soviet pennant exchanged at the basketball match between Finland and the USSR at the 1952 Olympic Games. 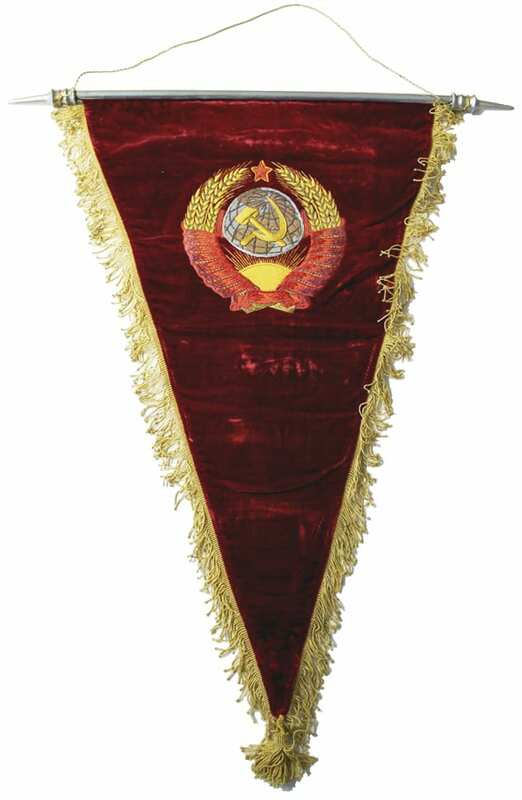 Dark red velvety cloth with golden fringe tassels, featuring the coat of arms of the Soviet Union. Metal bar included.